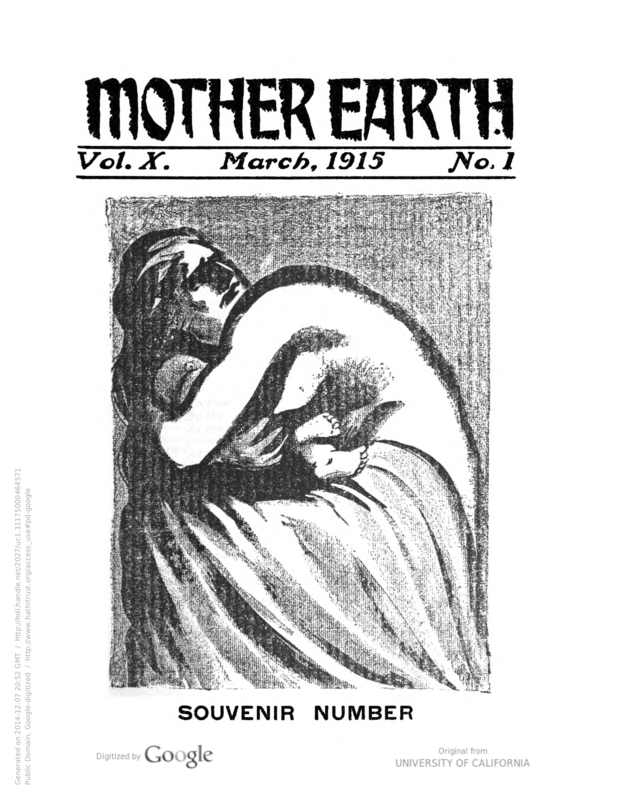 100 Years Ago: March 1915 | Criticism &c.
Mother Earth celebrated its ten-year anniversary in March of 1915 with a selection of accolades from friends and movement comrades. 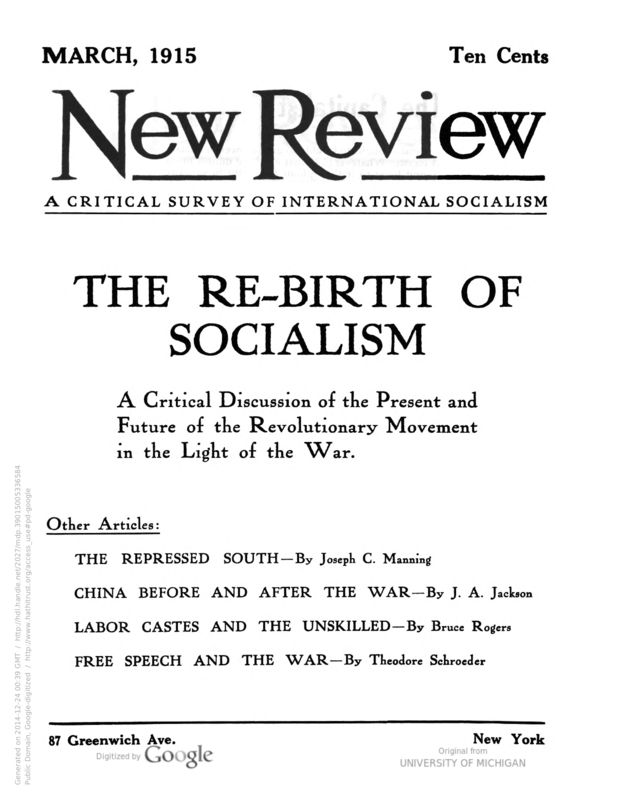 The New Review of March 1915 features a symposium on rebuilding international socialism in the aftermath of the splits caused by the war. 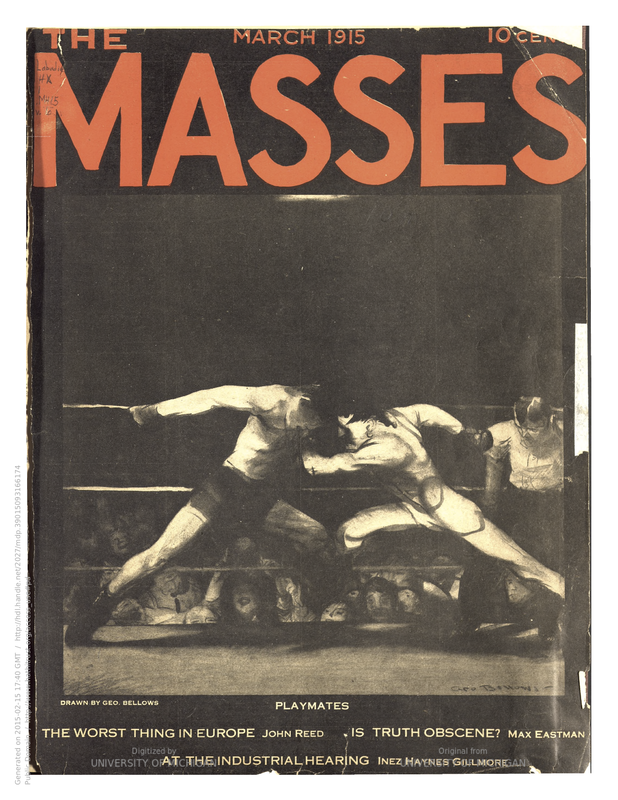 This issue of Max Eastman’s The Masses features a cover by George Bellows. 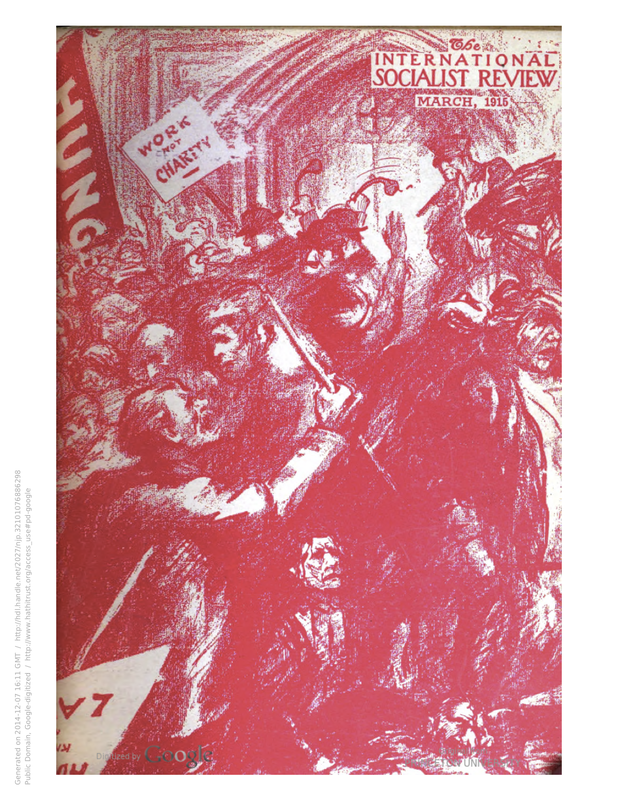 This entry was posted in 100 Years Ago and tagged George Bellows, International Socialist Review, James Connolly, Max Eastman. Bookmark the permalink.